With all of this week's big baseball and softball games going on, you just know that Pamplin Media Group's sports editors, reporters and photographers will be out in force to document the action. Pamplin Media Group continues and builds on its role as a state leader in high school baseball and softball coverage this season, presenting its work more quickly and sharing it more broadly. We, as a company, are now posting our high school baseball and softball stories and photos to all our websites as soon as possible following each Friday's contests. And once they're posted, by clicking on the Prep Baseball/Softball tab that's now part of each of our websites, visitors will be able to see all the stories and photos posted by our sports reporters and sports editors, not just those particular to their home schools and home towns. To see the Prep Baseball/Softball tab, just hover over the Sports tab at the top of the page. • No. 1 Jesuit (5-0 in Metro play, 9-2 overall) at No. 21 Southridge (3-2 in Metro play, 7-4 overall), 5 p.m.
• No. 25 Lake Oswego (1-1 in TRL play, 4-7 overall) at No. 7 West Linn (4-1 in TRL play, 7-5 overall), 5 p.m.
• No. 38 Forest Grove (1-2 in Pacific play, 4-4 overall) at No. 20 Sherwood (1-0 in Pacific play, 6-4 overall), 5 p.m.
• No. 43 Reynolds (0-4 in MHC play, 6-7 overall) at No. 23 Sandy (3-1 in MHC play, 7-5 overall), 5 p.m.
• No. 39 Centennial (1-3 in MHC play, 7-6 overall) at No. 33 Barlow (4-0 in MHC play, 6-7 overall), 7 p.m.
• No. 27 Sisters (2-6 in TVC play, 2-9 overall) at No. 32 Woodburn (0-5 in TVC play, 4-6 overall), 3 p.m.
• No. 1 Tualatin (0-0 in TRL play, 12-0 overall) at No. 37 Canby (0-0 in TRL play, 1-9 overall), 5 p.m.
• No. 27 Lake Oswego (0-0 in TRL play, 6-6 overall) vs. No. 43 West Linn (0-0 in TRL play, 0-12 overall) at Rosemont Ridge MS, 6:45 p.m.
• No. 38 Sandy (0-1 in MHC play, 6-6 overall) at No. 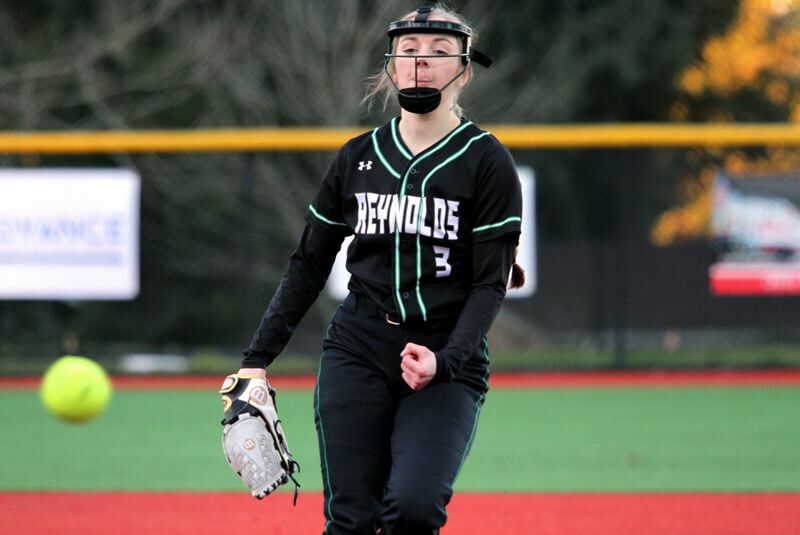 3 Reynolds (0-0 in MHC play, 11-0 overall), 4:30 p.m.
• No. 40 Neah-Kah-Nie (1-3 in SD1 play, 1-7 overall) at No. 20 Gaston (3-3 in SD1 play, 5-6 overall), 3 p.m.
To see today's complete baseball schedules, click here and then click on the classification of your choice. To see today's complete softball schedules, click here and then click on the classification of your choice.